We assist and guide our clients during the project initiation and offer our expertise throughout the development process. Our in-house graphics department allows us to provide an immediate response to our client’s art and graphic requirements. As part of our NPD and Service offering our Quality Assurance Team is available for on-line filling trials and will give appropriate guidance. 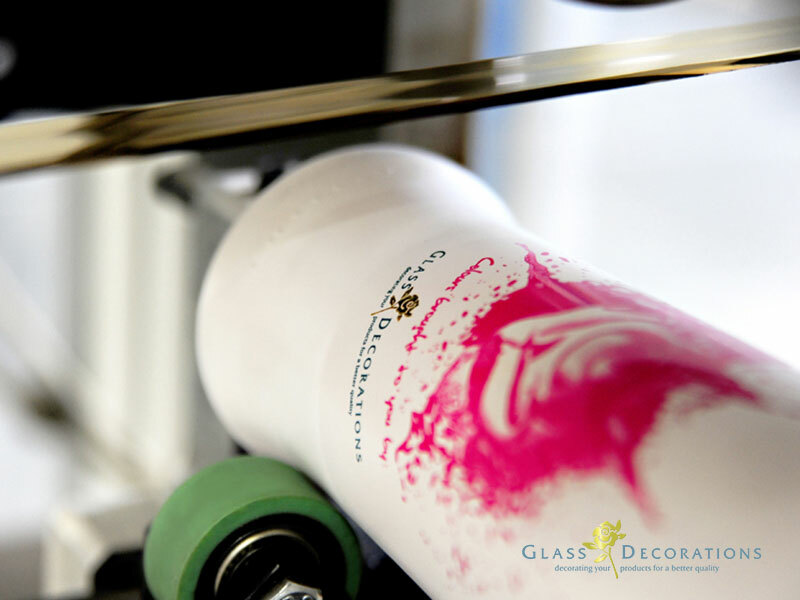 Glass Decorations offer quality value add services, including specialised screenprinting, colour coating and foiling directly onto glass containers. Promotional repacks, product boxing and tagging as well as quality resorts are available for our customers to utilise as a separate offering or as part of a comprehensive packaging solution. We also offer Pressure Sensitive labelling and sleeve application. A professional and experienced team is available to assist and develop any possible packaging innovation. No matter how niche or bold your order quantity, Glass Decorations have the capacity and flexibility to accommodate regardless. We strongly believe in evaluating each opportunity independently in order to provide solutions for each project according to our client’s unique requirements. Glass Decorations manages your project from design to final product.